Bangalore is the best place to be for interesting travel options, especially short travel plans that can be made for the weekends. With the hectic schedule of the week fading into the background as the Friday joy sets in, why don't you make some exciting plans for the weekend? 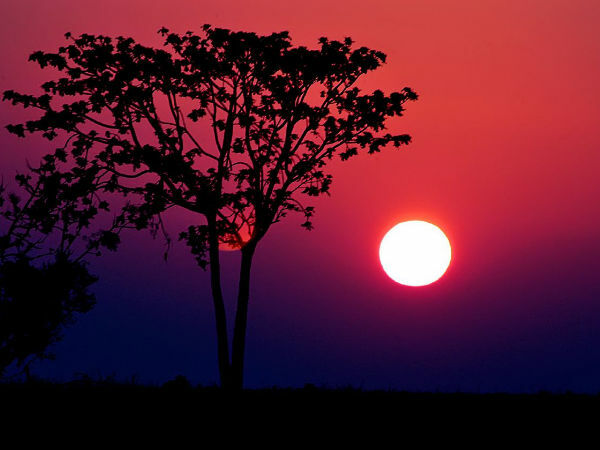 NativePlanet suggests you head for an eventful weekend getaway to the lush greenery of Kabini. Need convincing? Well, here are the reasons; it is the ideal season (October - May), the distance is just 214 km and can be reached in around four hours, it is a great place for nature lovers, wildlife enthusiasts and all shutterbugs! Take a look at how you can create some fresh travel memories with this road trip to Kabini. However, make sure to book accommodation in advance as this popular place has most resorts being booked out during season. You will need to plan ahead a few items before starting on your journey. One of them is accommodation, there are many options for stay at Kabini. Luxury resorts have set up some impressive properties here; such as Orange County and Serai to name a few. There is also the government-run Kabini River Lodge; a great reason to pick this over the rest is that all safaris are only organised by them, and even other resorts have to book safaris with them in order to take their guests into the jungle. You can check more about them on their website. If you are driving, get your car checked, refuel, pack a mixture of comfortable casual clothing and winter wear. You should also carry your medical requirements and mosquito repellent cream. A hat and sunglasses can also be taken along. Start early in the morning by 5:00 am from Bangalore and head out on the Bangalore-Mysore Road or NH-17. Important destinations you will cross en-route to Mysore include; Ramanagara, Channapatna, Mandya and Srirangapatna. Mysore is situated at a distance of around 143 km from Bangalore. Kabini is an additional 70 km from Mysore. You can take the SH-33 from Mysore and proceed with the help of the Jungle Lodge and Karnataka Tourism signboards to Kabini. The total distance one-way is approximately 214 km and you can look at arriving in Kabini by 9:00 - 10:00 am. The roads to Mysore and from the city to Kabini are mostly in great shape. You might only face trouble with the roads right at the end of the journey leading to the Jungle Lodge. Early morning driving should ensure limited traffic conditions as well and make for an enjoyable drive. Mysore to Kabini stretch ensures a peek into the stunning greenery that awaits you at Kabini. Kabini is a wildlife sanctuary situated surrounding the Kabini River. This unspoilt greenery and unpolluted ambiance of the place is something that will be enjoyed immensely by city folk. The place is absolutely cut off from noise and traffic, the only sounds you will hear are those of insects humming through the day and night. Post-monsoon season is a great time, as the forest growth looks fresh and new. The trip is great for couple or family and children. You can expect to see wildlife and rejuvenate yourself in the calming environment here. The resort itself is rather quaint with rooms built into traditional-home styled structures, set against a backdrop of the dense forests. Thankfully the rooms do not have TV, which means you and your family can spend maximum time enjoying the outdoors. Plenty of open space for children to play and a nice common dining area called 'Gol Ghar' makes the resort worthy of exploration during the initial hours. Lunch is a simple buffet. Enjoy the tranquil environment and lunch, as you enquire about what type of safari you would like to explore first. The resort has two stunning types of Safari and we strongly recommend you try both! The land or Jeep safari and the river or boat safari. The land safari on the Jeep into the mysterious trails of the forest will not be forgotten easily. You will get to see elephants, birds, spotted deer, Malabar Giant Squirrel, peacocks, Langur, Dhole and if you are lucky Leopard as well. The exciting sighting of wildlife can leave you in a trance after the initial high! Starting at 4:30 pm and finishing off nearly by 7:00 pm, this safari is yet another highlight of the road trip to Kabini. This can be done on your day one at the resort. You can return to watch a wildlife documentary and then dinner. The river safari is nothing short of stunning as an expert oarsman and guide will take you through the river's course in the forest, that is a part of Nagarhole. You can do this on your day two, early morning between 7:00 am to 9:30 am. The motor-boat glides over calm waters as you observe submerged trees, river banks with lush green grass and grazing herds of elephants, spotted deer and an incredible variety of birds! You might even get to see wildlife scenes that paint a picture straight out of Nat Geo! The guide is patient and will wait to see sign of wild animals to point out to. The safari can last a good three hours and is worth every penny spent. Return for a good brunch and be on your way back to Bangalore after a mesmerising journey in the lap of nature. Besides the natural beauty, you can explore the attractions along the route such as the Kabini river, and Banasura Sagar Dam. This will be enjoyed by adults and kids alike as you can take a dip in the river water. If travelling with kids, make sure you make a brief halt at Channapatana to explore the collection of colourful wooded toys and crafts. Learn more about Kabini and its various attractions,accommodations options, travel ideas, etc here. Explore Kabini hotels for the one that suits your needs the best. There are many more such weekend destinations around Bangalore that you can explore with friends and family. Check our guide to the lesser known adventure destinations for weekend trips around Bangalore.